Since the beginning of the Saudi Arabia-led Operation Decisive Storm, the Kingdom’s newspapers have been naturally flooded with analysis and reports on the situation in Yemen and the same is the case with the social media. The goal of this military operation is crystal clear i.e. pulling Yemen out of the chaos created by the Iranian-backed Houthi militias. The Iranian-sponsored media is also on the move on this front as well. It is distorting the truth and presenting it as a sectarian conflict, which is far from reality. Saudi Arabia has been very transparent in its approach since day one. The Saudi leadership had made it clear to the world that this operation had no sectarian angle to it. It is against the Houthi militias working as an Iranian proxy to destabilize the country and the region by forcefully taking over the country and toppling the legitimate government of President Abed Rabbo Mansour Hadi. Yemenis wanted restoration of their government and asked for Saudi help and the Kingdom responded accordingly. That is the entire story. Saudi Arabia has nothing against Yemen or its people. As a matter of fact there are hundreds of thousands of Yemenis living and working freely in the Kingdom. Nobody is harassed and no one has been asked to leave. Life is normal for Yeminis in Saudi Arabia and this is exactly what the Saudis want for Yemenis in Yemen — to lead normal lives without any fear. The Saudi media has been very fair in its coverage of the event and did not give in to hyperbole. The reason is that the Kingdom did not desire war but circumstances forced it to take this decisive action. The Saudi forces have established an operations office to brief the media daily. Brig. 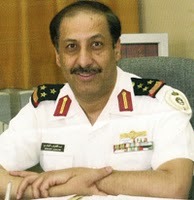 Gen. Ahmad Al-Assiri has been assigned as a consultant at the minister of defense’s office for the job. The briefings are very transparent in nature and serve as reference for all the national and international media outlets. These briefings are an important tool to talk to the world and to respond to various queries by newsmen. The media is very important during these conflicts because the other side will try to launch a propaganda campaign to create doubts about the objectives of the military operation. But, what has been noticed is the absence of Saudi war correspondents specialized in war reporting. It is different to be reporting from the front with so many kinds of armaments. Planes, tanks, radars, war supply, air refueling, smart bombs and many other terms that may not be known to ordinary reporters or columnist or even journalists in the briefing rooms. Experienced war reporters give a clear picture to the world. And their precise reporting helps eliminate chances of rumors that the enemy tries to spread. Some war reporters are former military personal or specialized in war history and military science. In this ongoing operation, we have not seen any specialized war correspondent directly reporting from the southern borders. Saudi media outlets and especially the Saudi papers must at this time take a note and learn a lesson of having experienced war reporters and analysts rather than trying to reach people randomly. War reporters don’t have to be at the war front but they also can be assigned to command centers to give more details about ongoing operation or can be assigned to briefing centers. Normally war correspondents ask more professional questions and can write more professional reports. It is true that many young Saudi men and women are learning more and we have seen some of them at the Saudi southern front. But we need more Saudi professional war correspondents. Written by Abdulateef Al‐Mulhim. Need for Saudi War Correspondents reprinted with permission of Arab News and Abdulateef Al‐Mulhim.